TMO POUR SALT ON A FESTERING WOUND. THE TMO APPEAR NOT SATISFIED WITH DELIVERING SUB-STANDARD SERVICES TO RESIDENTS AND HAVE DECIDED TO WIDEN THEIR HORIZON’S TO INCLUDE SELLING HOME INSURANCE. NEXT THING YOU KNOW, THE TMO WILL BE OFFERING DOOR-STEP LOANS! The power surge victims of Grenfell Tower were dealt a further cruel blow by the Tenant Management Organisation (TMO), who manage the RBKC Council’s social housing, with the announcement that the TMO have decided to launch a Tenants and Residents Home Contents Insurance Scheme. In May 2013 the residents of Grenfell Tower experienced catastrophic power surges that caused televisions to catch on fire, flames to pour out of toasters and sparks to cascade from ceiling light fittings, During this terrifying experience computers and other electrical equipment belonging to the residents of Grenfell Tower were destroyed causing much misery and financial hardship for the innocent power surge victims. When those who lost electrical appliances approached the TMO for compensation we were told by the TMO that we should claim off our own household insurance. We then explained to the TMO the reasons why no-one in Grenfell Tower had private household insurance and that we believed that it was the TMO’s responsibility to compensate us. Well…. the rest is part of Lancaster West Estate’s recent painful history. Power surge victims never received the compensation that we were due and, instead, we were forced to accept a £200 fob off from the TMO and told to go away and keep quiet. The idea that the residents of Grenfell Tower received a just or fair outcome at the hands of the TMO, RBKC and their insurers is simply laughable. The idea that those same residents, who lost their electrical equipment and were refused insurance by the TMO, would trust the TMO with any future insurance claims is beyond scorn. We wonder that the TMO don’t have better things to do with their time than come up with grubby insurance schemes, particularly, as the residents of Grenfell Tower know that their horse has already bolted. The Grenfell Action Group believe that the trust between the TMO and residents of Grenfell Tower is destroyed and that there is also precious little trust between the TMO and the wider Lancaster West community. The idea that Lancaster West residents would buy insurance from the TMO is ludicrous and is simply an attempt by the TMO to pour salt on an already festering wound. 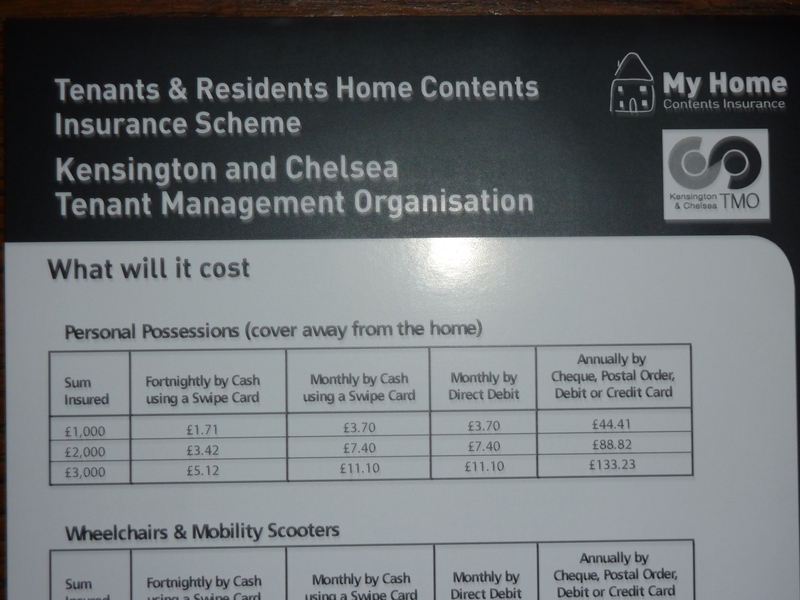 This entry was posted in Uncategorized and tagged insurance, RBKC, tenant management organisation, TMO. Bookmark the permalink.